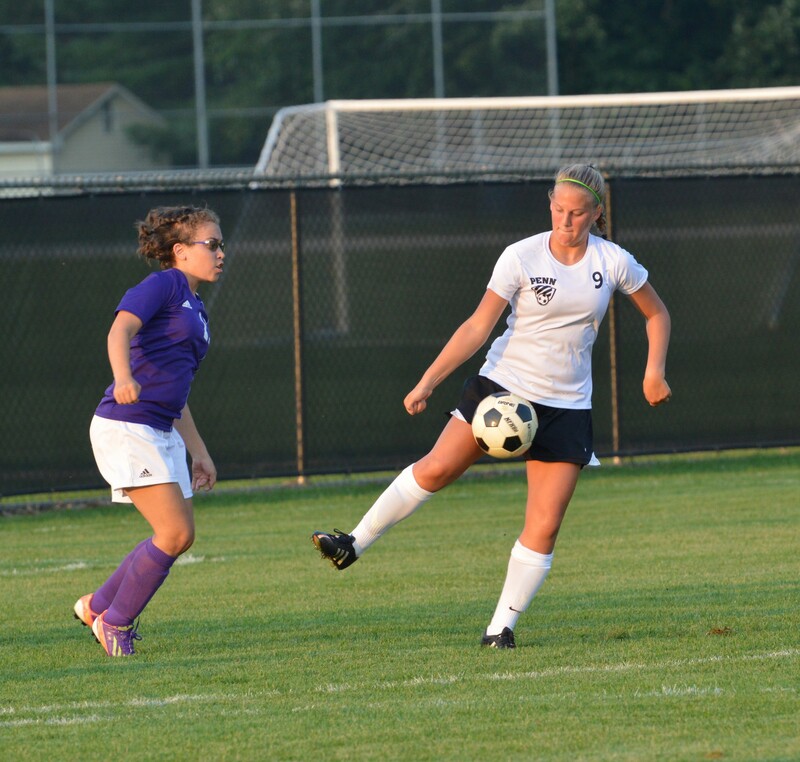 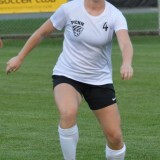 Senior Hannah Ehrhardt looks up the field as a defender closes in. 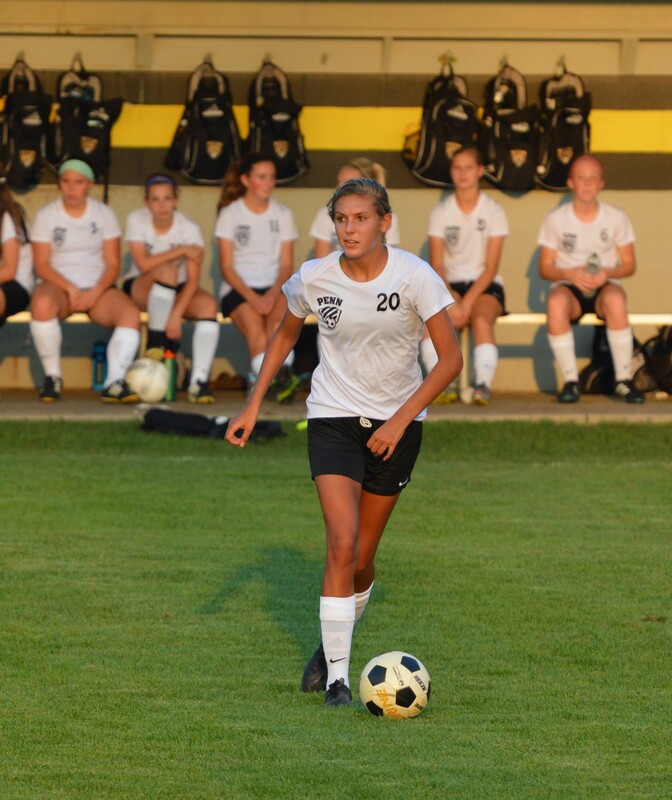 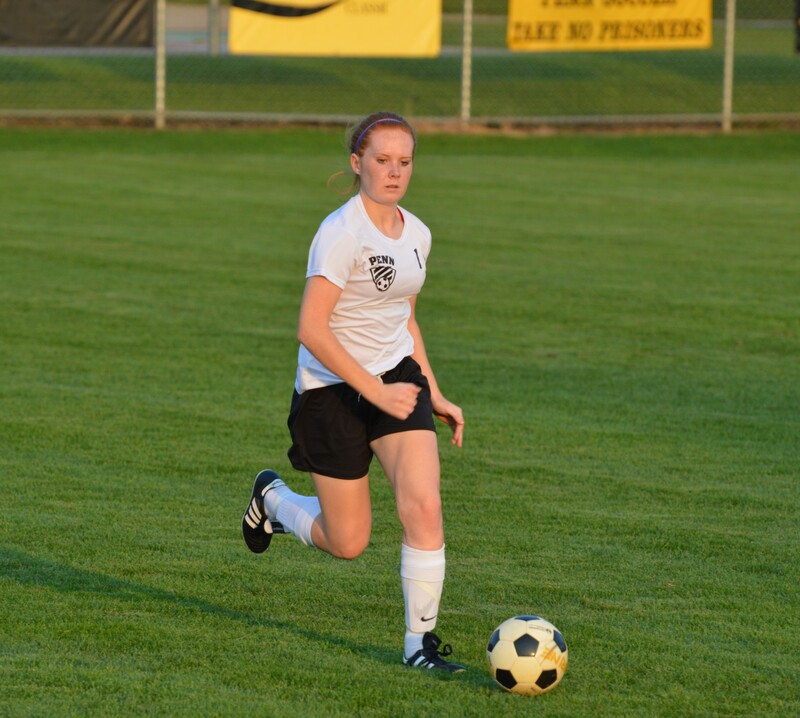 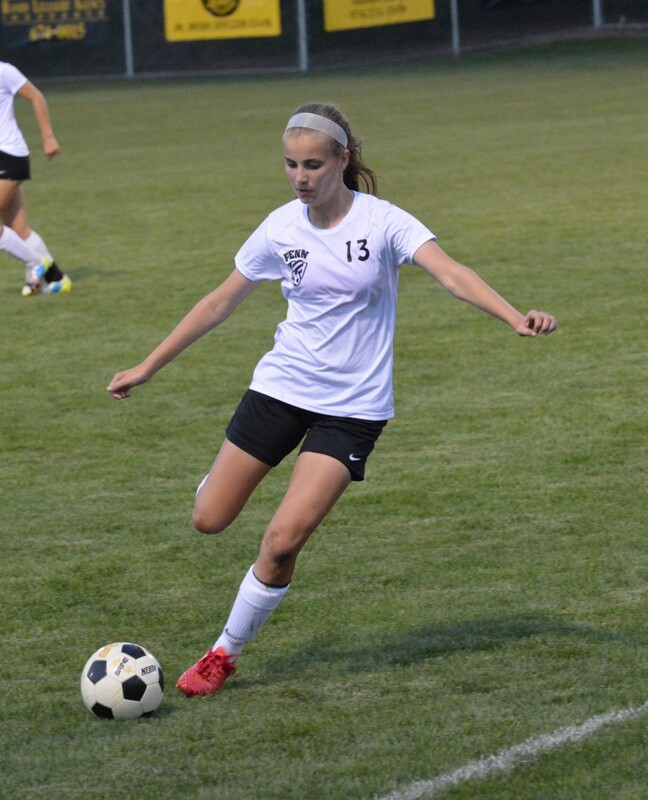 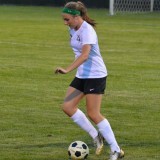 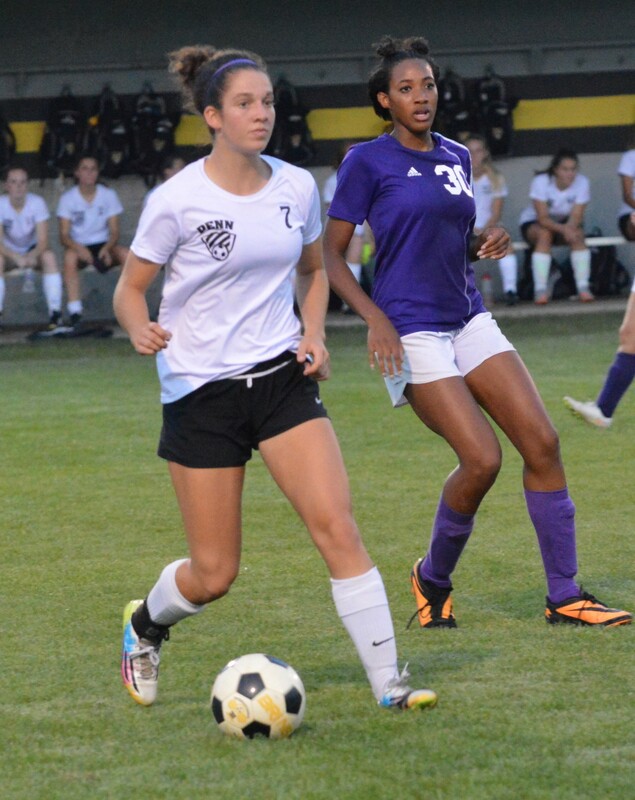 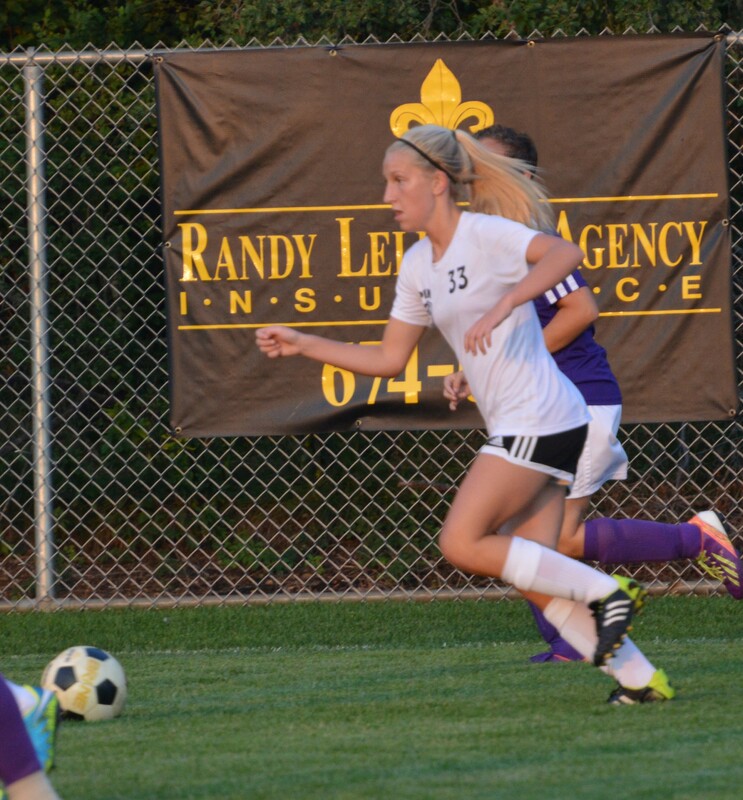 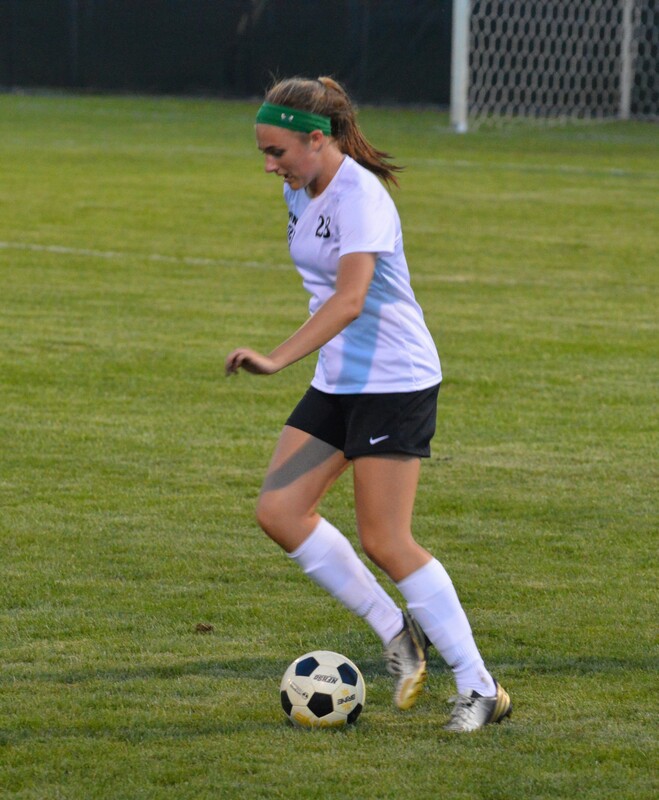 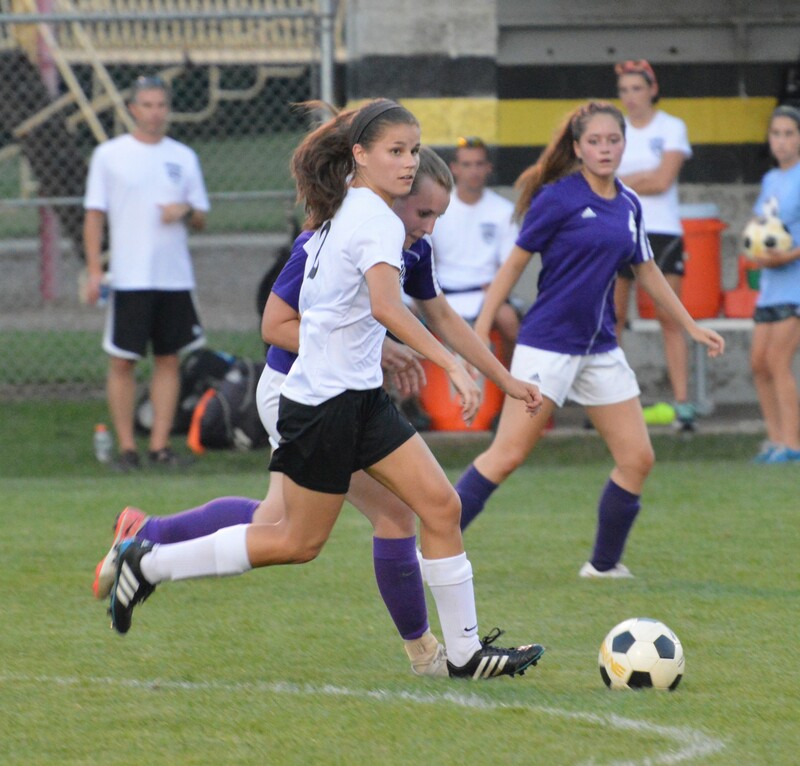 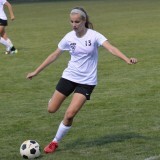 Kenzie Blankenbaker passes two Clay defenders and continues dribbling up field. 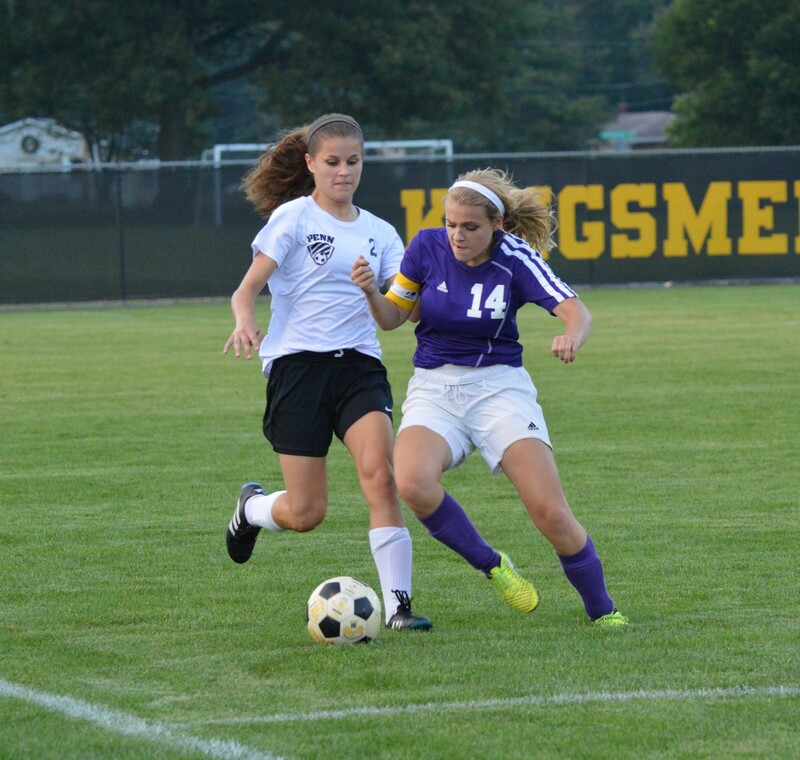 Megan McLaughlin passes a Clay defender and continues to advance the ball. 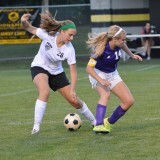 Forward Kacey Wood gathers the ball..
Hannah Ehrhardt winding up to send the ball up the field to a teammate. 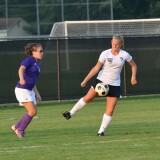 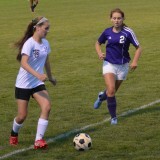 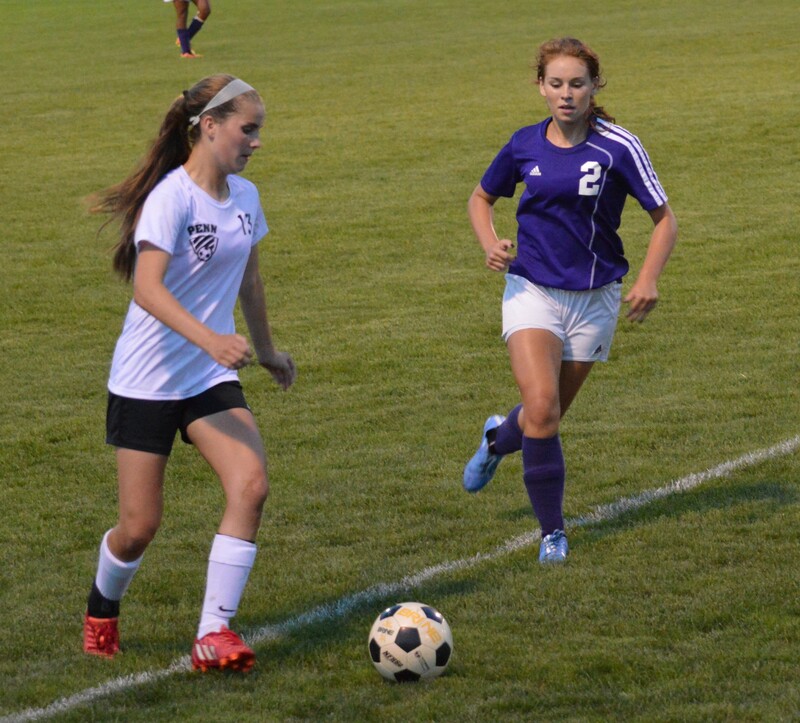 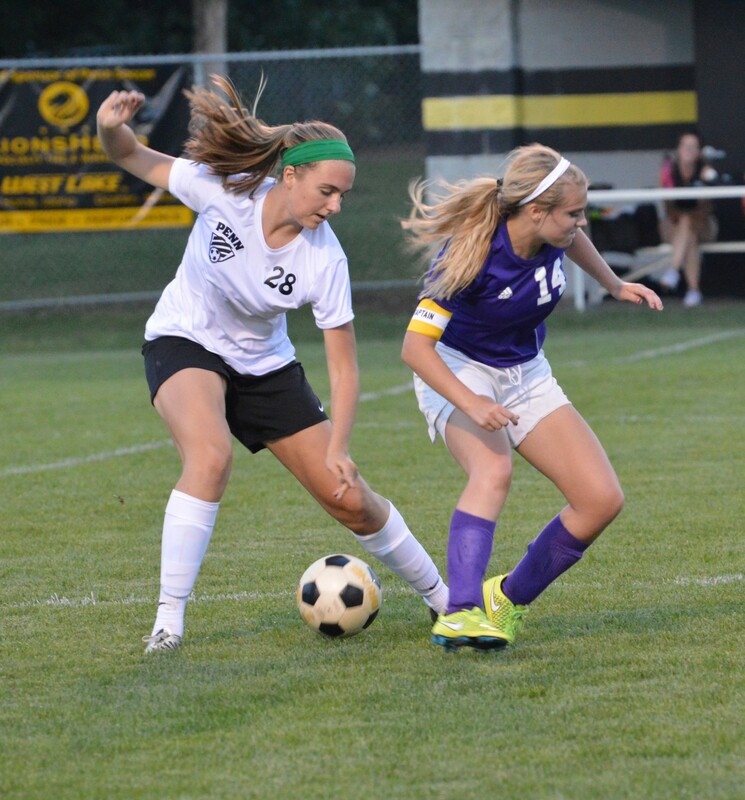 Junior Kacey Wood controls the ball while a Clay defender provides pressure. 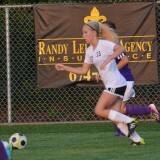 Senior Haley Ehrhardt advances the field looking for an open teammate. 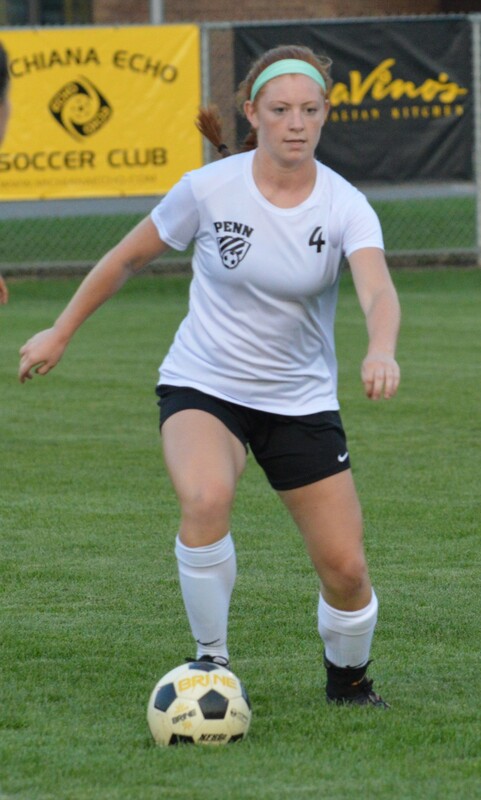 Penn defender, Mackenzie Mason, clearing the ball out of the backfield. 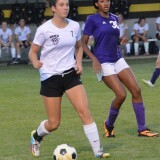 Mikaylah Woods looking to rid a Clay defender. 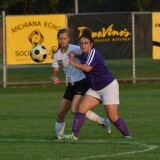 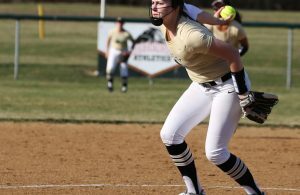 Haley Ehrhardt faces some contact when trying to get the ball up field. 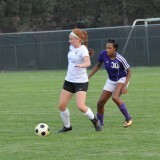 Senior Mikaylah Woods dribbling the ball while avoiding defenders. 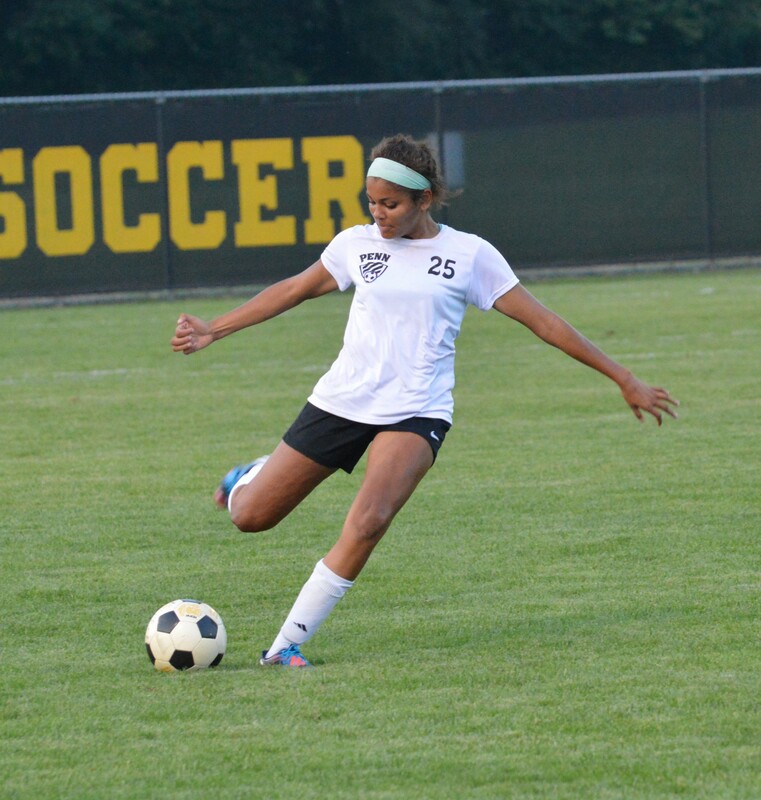 Sophomore Lexi Scott dribbles, looking for an open teammate. 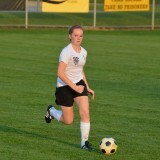 Senior Sydney Bright dribbles to advance the ball out of Penn’s side. 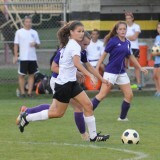 Forward Jensen Stroinski receives a pass in front of Clay’s goal. 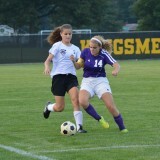 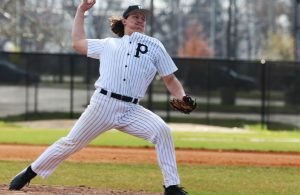 Penn Junior Sommer Domal battles with a Clay defender for the incoming ball. 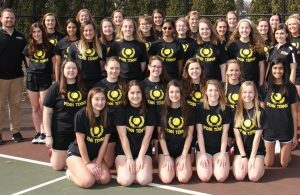 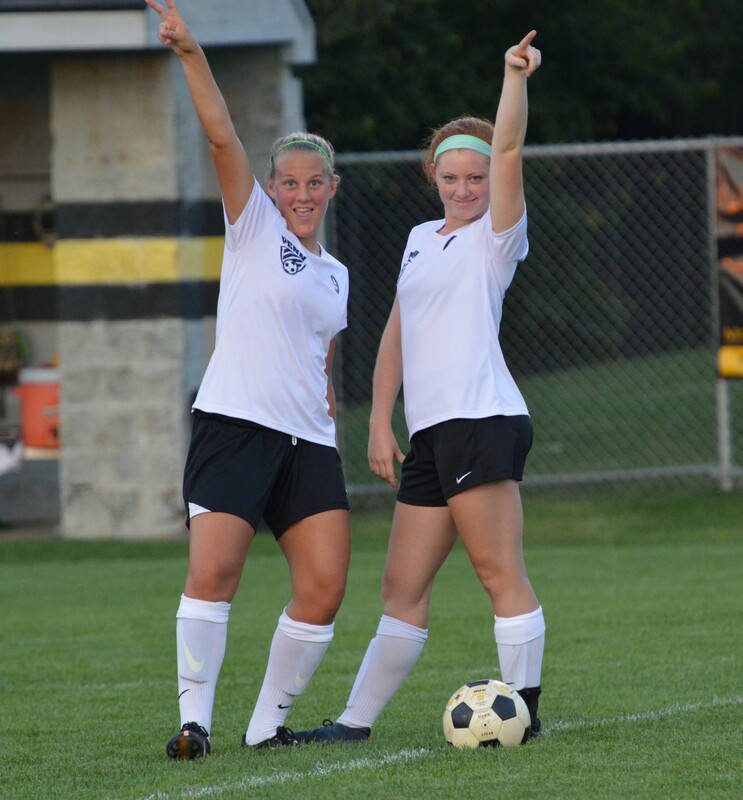 Seniors Jensen Stroinski and Mikaylah Woods join in on the fun. 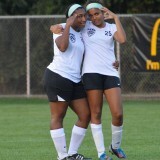 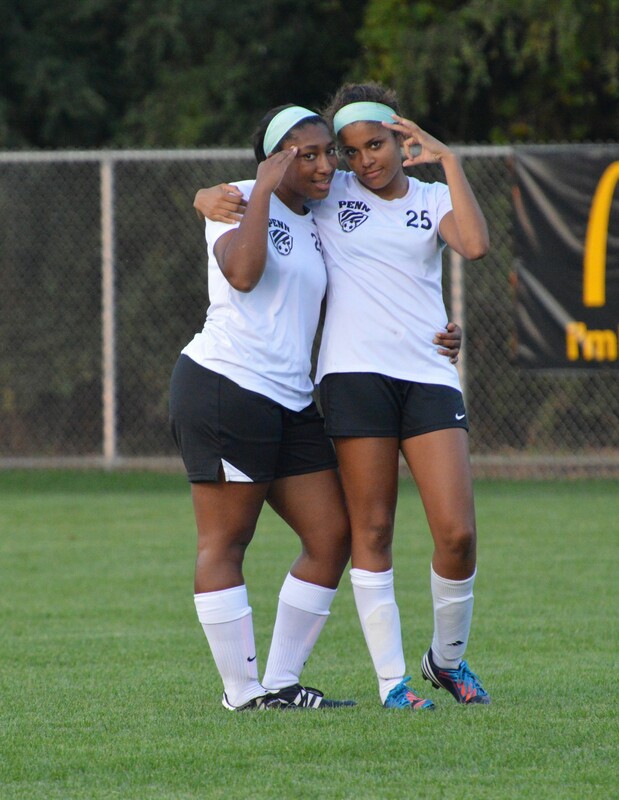 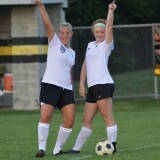 Seniors Kamra Solomon and Mackenzie Mason strike a pose at halftime.